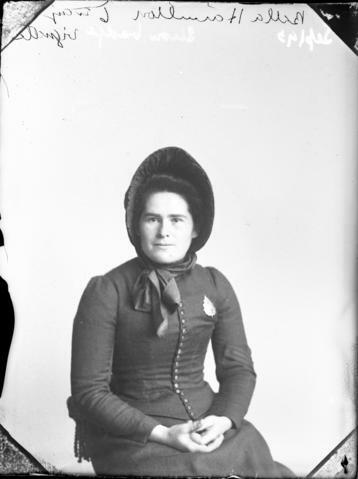 File contains a portrait photograph of Bella Hamilton seated "in Salvation Army uniform, including badge and bonnet". Annotated on the glass negative: "Show badge". Photo emulsion is slightly flaking in the left bottom edge.